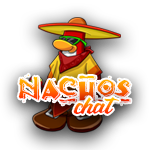 Today has been a good day for the Nacho army. We have successfully defeated the Golds and placed 2nd in CPAC’s Top 10. We have been steadily rising for the last few weeks and this week has kept the upwards curve going. Now we must maintain this momentum as we meet new challenges. 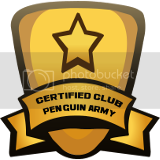 Club Penguin armies are all about maintaining momentum; a plateau in activity and effort can see an army plummet in the rankings if they as a group are not careful. We have an advantage over every other army at this moment, we are rising, and thus, we have momentum. It is up to each of you to keep us going forward. Our next test will be the Legends Cup semi-finals, where we will face both Water Vikings and ACP. This will be the decider for how this army fares over the next month. A defeat and we will plateau, a victory and we will continue to rise and become the dominant force in armies once again. There is still a significant portion of summer left, however, for many of you, this may perhaps be the final full month of summer. Therefore we must make the most of it. Each of you needs to give their all to this army. I am not asking for you to devote your entire summer to the army, but making sure to come to events, to hop on chat, and even recruit a little will ensure that we maintain momentum. This will be vital in securing our place at the top. 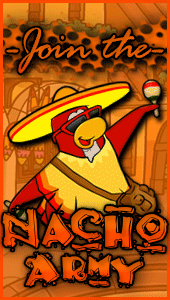 All of you are Nachos, and all of you are capable of helping this army rise. Please, help keep this momentum that we have created and I am sure that we will steamroll the Legends Cup finals- and maybe more, a war perhaps? We’ve been doing a fantastic job! Let’s still focused!